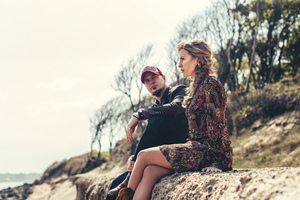 Americana-infused The Remedy Club (Eileen Mythen & Kieran McEvoy) with the first single off new album ‘Lovers, Legends & Lost Causes’ out on October 8. Video directed by Darren Mac Suibhne and Ian James White. Posted in Misc and tagged You May Like This at 11:01 am on October 2, 2017 by Broadsheet. It’s from Jinx Lennon, who has been around for a while. Also, BS promoted a guy called Myles Manley once or twice (he had the video with the willy.) I think he has something interesting going on.